Drunk driving is a broad term that refers to a more specific charge. These charges include, DUI, DWI, OUI, OWI, OUIL, Wet Reckless, Driving Under the Influence, Driving While Intoxicated, Operating Under the Influence, Operating While Intoxicated, Operating While Impaired, Driving While Impaired, Operating Under the Influence of Liquor, or even DUI Marijuana, or Driving Under the Influence of Marijuana. You can be charged for driving while under the influence of any substance deemed to "impair" your reaction time, such as illegal drugs, prescription medication, marijuana, even over the counter medication. In addition to driving under the influence, you may also be charged for bicycling under the influence or boating under the influence. The penalties for these charges can range from loss of license, probation, alcohol classes, community service, fines, county jail time, or several years of state prison time for repeat offenders. 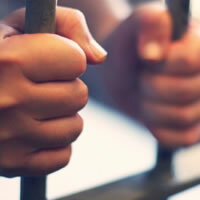 The factors that influence the severity of the punishment include whether an accident was involved, whether anyone was injured, whether reckless driving was involved, and the amount of alcohol in the driver’s system. And of course, anything else such as a hit and run or a death resulting from an accident make the drunk driving case against you much more serious. Many drunk driving lawyers don't fight these charges aggressively enough, believing that these cases (DUI, DWI, OWI, OUI, etc.) are cut and dry and that there is nothing they can do. That is where White Law Firm is differs from other drunk driving lawyers. We believe with every case there is a chance to either reduce the charges you may be facing, get a better sentence, or possibly even get the charges dismissed. Our aggressive and experienced drunk driving lawyers posses a vast amount of expertise when it comes to finding potential reasons to get a drunk driving charge dismissed or reduced. Although every case is different, a common defense is an illegal stop performed by law enforcement. Basically, in many drunk driving cases the police officers do not have a valid reason to pull you over to begin with. If you are pulled over without probable cause, any evidence found against you thereafter may be found inadmissible in court. Probable cause is generally defined as a reasonable belief that a person has committed a crime. Therefore, you must have been swerving, driving erratically or showing other signs of impaired driving for law enforcement to legally have stopped you. Again, if they stopped your for an invalid reason, there is a strong chance that your case will be DISMISSED. Often times the police file their police reports with information that is beneficial to their case against you. The police report may include lies regarding the reason for stopping you or exaggerated reports of how you responded to the field sobriety tests. Other criminal defense lawyers may accept these lies and exaggerations, claiming there is nothing they can do to fight them. However, our DWI attorneys are different. We will do everything we can to track down witnesses, gather statements, and sort out the facts to prove that you were stopped without probable cause. And in the event that you were pulled over for a valid reason, we will continue defending you, looking for any weaknesses in the prosecution’s case. There are many other ways we can fight your drunk driving charge. For instance, breathalyzer machines need to be calibrated according to a certain schedule, and if they aren't, that could affect the reading on your breath test. The machines can be complex to use, and an inexperienced police officer could easily perform the test incorrectly which would result in an incorrect measurement of how much alcohol is in your system. In addition, when an individual consumes alcohol, his/her blood alcohol content rises before it begins to settle back down. In other words, if you have a few drinks and get in your car, you may be driving under the legal limit; but if a blood or breath test is administered on you an hour later, while you are not driving, your blood alcohol content could be much higher than it actually was when you were behind the wheel. There are many other defenses such as the handling of the needle during the blood test and whether you have digestive problems which can alter the results of your breath test. For more information or a detailed explanation of these defenses, please do not hesitate to contact our DUI lawyers. In sum, drunk driving charges may not be as simple and straightforward as most people think. With a talented criminal defense attorney by your side, you may be able to get your drunk driving charge dropped altogether or reduced to something lesser, such as a wet reckless. Our drunk driving lawyers also conduct a great deal of damage control. Often with drunk driving charges, the courts will try to put you in jail or at the very least take away your driver's license. We fight aggressively to show the courts that jail is not the answer for something like this, and that to take away your driver's license could cause many problems such as job loss and other hardships. Our drunk driving attorneys will do their very best to ensure that you are given a sentence that will have a minimum impact on your life. If you are being charged with drunk driving or any alcohol crime such as drunk and disorderly, disorderly conduct, driving with an open container, drunk in public, or anything else of this nature, please call White Law Firm immediately for a free consultation so we may find out what type of outcome you are looking for and develop a plan of action to accomplish your goal.